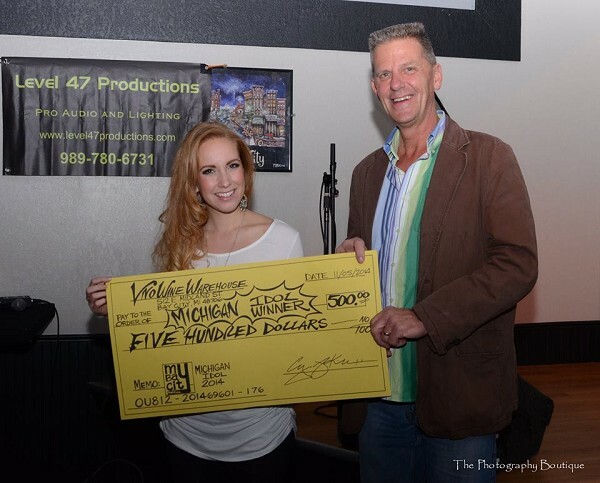 Last Season of Michigan Idol, Hannah Ferranti of Bay City, won the grand prize of $500 cash! This season offers the same opportunity for a Great Lakes Bay Region resident as Michigan Idol ramps up for a new season at VNO's on Midland Street. All the fun begins again at VNO's New Age Restaurant starting Friday, September 18th, 2015 for another 8 week talent competition. The contest will still be held on Wednesdays, but a special Friday night has been added. "I think it will drum up a lot of excitement" said Greg Kimbrue, Owner of VNO's. Contestants are scored on: Appearance, Stage Presence, Vocal Ability, Crowd Reaction, Song Knowledge and Over All Attitude. Total scores from the contestants best 5 weeks are totaled to conclude winner of Contest. Sound will once again be provided by Level 47 Productions of Bay City. Sign up and warm-ups are held from 8pm to 9pm. With competition starting at 9pm sharp. VNO's is located at 512 E. Midland Street in Bay City.